In 1950 'Victoria' became an operative for the 1st department (foreign intelligence). 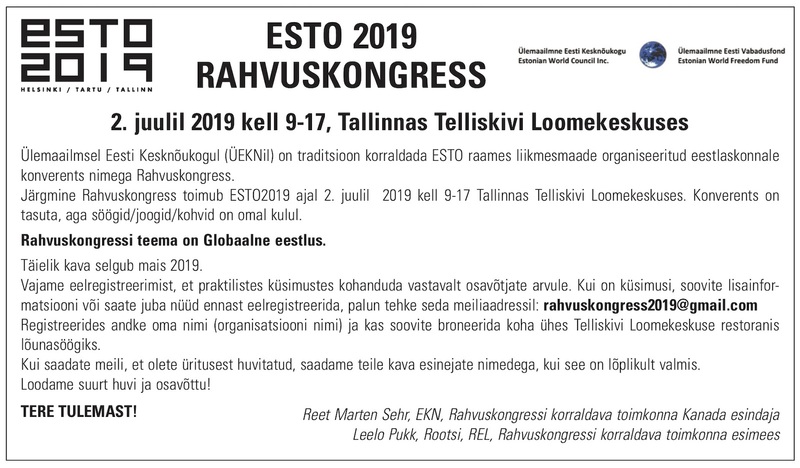 Estonian KGB headquarters decided to send her permanently to the USA ‘to work’ prominent Estonian 'nationalists' who were might be connected to the 'enemy's' intelligence services. Her ostensible reason for coming to the USA was understandable – to be reunited with her father and son. For the KGB her experience in the theater, multilingualism, wide international contacts, her father's life as a diplomat and undoubtedly her agreement to work for the KGB abroad were positive personal characteristics. She left the Soviet Union in 1958 and shortly thereafter she started to mail letters back to Moscow. Using an established route for this type of mail she explained how she was able to obtain a good position, renew old acquaintances and strike new ones. In 1961 she was able to contact an operative of the local intelligence resident. But in 1962 she reported that she had attracted the attention of the US counterintelligence and that some local Estonians were suspicious of her. The fact that US officials were focusing on her activities had been confirmed by 'Skvortskov”, aka Juhan Tuldava/Artur Haman, a KGB operative in Sweden and a Soviet success story, which we will be presenting as the next segment. She was forced to cut off any meetings with the KGB resident’s operatives and suspend nearly all letters sent to relatives in Estonia. Attempts to renew contacts with her failed.